Weinstein Legal is dedicated to protecting the rights of those who have been injured due to someone else’s negligence. Every day, thousands of people are hurt in car accidents, from a slip and fall, in a motorcycle crash, or simply due to another person’s carelessness. Many of these victims suffer serious injuries that can change their entire lives. Florida law protects you when you have been hurt as a result of the negligence of another. A South Florida personal injury attorney can help defend your legal rights and fight for the compensation you deserve. Victims of negligence may be entitled to compensation for medical expenses, property damage, lost wages, as well as pain and suffering. Your initial consultation with a personal injury lawyer is FREE – contact our Fort Lauderdale law firm online now or call 954-845-0505. We will always answer your call. When you’ve been hurt by another party’s negligence, whether a company or a person, you deserve the best legal representation you can get to protect your interests. Florida is a "no fault" state and drivers are required to carry a minimum of $10,000 in personal injury protection (PIP) benefits, which will help cover medical expenses and some non-medical related costs. However, PIP insurance disputes can be difficult to handle on your own. Weinstein Legal represents all types of medical providers that treat accident victims and bill PIP insurance. When the insurance company doesn’t pay or only pays a partial amount, Weinstein Legal assists in recovering all PIP benefits the provider is owed based on the insurance policy and Florida law. Because the landscape of Florida’s PIP law is always changing, Justin Weinstein makes it top priority to stay educated in all aspects of PIP litigation in order to provide the best advice to his clients. As top PIP cases are decided and change the way physicians can be reimbursed under PIP insurance, Weinstein Legal will always be able to answer the most current questions regarding PIP. Our law firm makes it easy to get the legal help physicians need by offering medical office visits so that you don’t have to disrupt your busy patient schedule. When an individual suffers from an injury or accident in South Florida, the first place they turn is their doctor. Medical professionals, from chiropractors to neurologists to orthopedic surgeons and specialists, work to get their patients back on their feet quickly, focusing on their patient’s physical needs. When the time comes to bill the insurance company, both the doctor and patient face a surprise when the insurance company denies the bill. This is where Weinstein Legal can help. 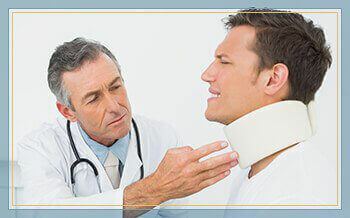 South Florida personal injury lawyer Justin Weinstein works with both healthcare professionals and their patients to get proper compensation in personal injury cases. He focuses on the resolution of insurance coverage disputes, and will take a case to court if necessary. Justin cares passionately about ensuring his clients are able to resolve their cases so that injured individuals and their medical teams can focus on getting back to normal life, free from the injury and the pain it caused. 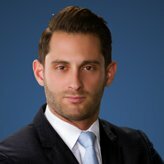 Contact the Fort Lauderdale office of South Florida personal injury attorney Justin Weinstein today – fill out the form above or call 954-845-0505. 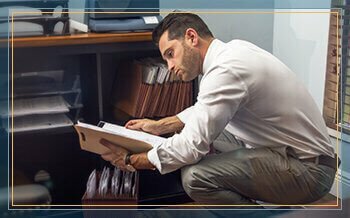 If you are facing a personal injury case, either for yourself or for one of your patients, call the personal injury lawyer who cares. Our legal team will work tirelessly to help you fight for the justice you deserve, giving you back your life. Contact Weinstein Legal's Fort Lauderdale office today to discuss the details of your case directly with a compassionate South Florida personal injury lawyer. We treat your case as if it were our own. Call 954-845-0505 or contact us online now. We’re available 24/7 to help you in your time of need. Justin Weinstein is dedicated to pursuing justice for those who have been injured in a personal injury accident as well as medical providers who provide treatment to these individuals. 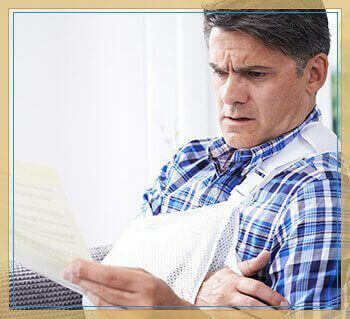 He can handle various types of cases, including motor vehicle accidents, slip and falls, personal injury protection insurance disputes, and wrongful death. Mr. Weinstein will always put his client’s best interests first. By developing a responsive relationship with each client, you can count on him to always answer your call and rest assured that your claim is a top priority.